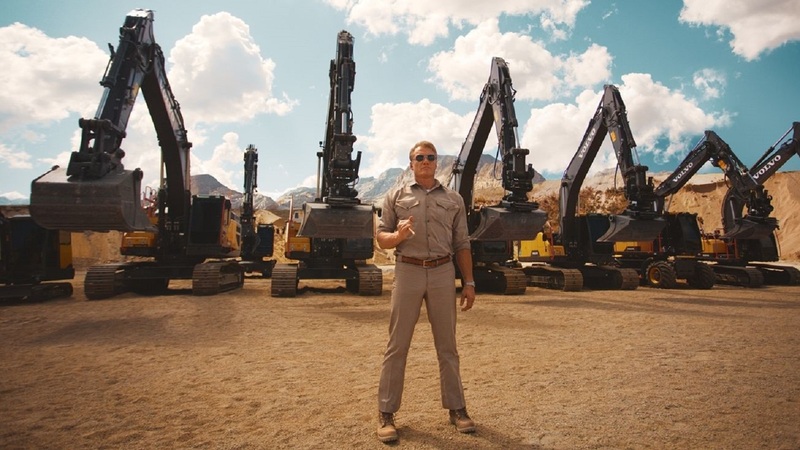 Hollywood Action Hero vs. Volvo Excavators. Who Wins? It is said that Volvo excavators are one of the best construction vehicles out there. But are they really as good as people say? That’s a question Volvo probably doesn’t mind that much. The Swedish brand knows what it owns. So to prove that it doesn’t play games when it comes to the excavators, the car manufacturer launched a new challenge for its machinery. Volvo invited Swedish Hollywood action star Dolph Lundgren to Pump Up the Jam in those iron bea(s)ts. The legendary action hero got one task and one task only: to train these invincible machines. But will the Swedish star succeed? He probably would not if he were all by himself. But with the help of creative agency Forsman & Bodenfors, he managed to successfully tame down the ferocious machinery. 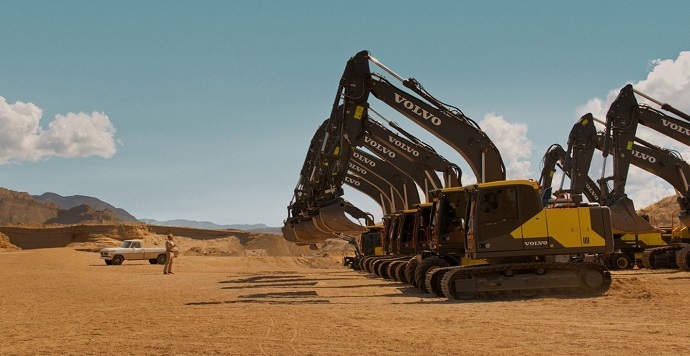 The Göteborg-based agency joined the ‘workout’ team with a short video, which shows viewers how the Volvo excavators—weighing between 1.5 to 95 tons—are put through their paces in an exhausting, military-like course. Yes, that’s an extensive and rough ‘drill’ under Lundgren’s supervision. 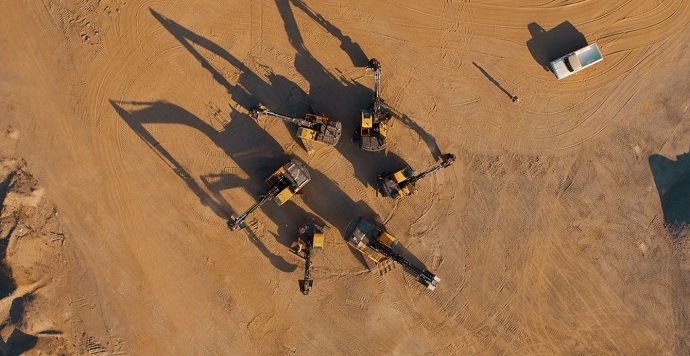 The extensive training session unfolds in an unforgiving desert location, where all the excavators get lined up, just waiting for Lundgren’s commands. When he arrives at the destination, the “teacher’s” attention is stolen by a little ‘maggot,’ as the tough protagonist calls the Volvo excavators. He gives his commands and waits for the little one to execute them. The small machine has to do 20 pushups. But that’s nothing compared to what’s to come. Flipping gigantic tires across a muddy track, pulling Lundgren atop a 10-tonne concrete block, or excavator pull-ups. The entire work-out session unfolds during the iconic beat of the 1989 hit song ‘Pump up the Jam’ by Belgian music group Technotronic. The campaign’s message is to show how versatile the Volvo excavators really are, highlighting their ability to deliver optimum power and performance to finish almost any task. Even though these insane assignments are not part of an excavator’s daily routine, the machines have definitely proved their real power. The heavy-duty pull-up exercise seen in the film is a world first. Thanks to the excavators’ power and precision, the operators remained well protected inside the trucks. The stunt was carried out by professionals in a safe environment. In a real-life scenario, Volvo excavators can be used for site preparation, trenching and excavation to demolition, truck loading, and pipe laying. Nothing so fancy, but still pretty impressive. If you want to catch a glimpse of how this stunt was created, then have a look at the “Behind the Scenes” video below. Pump up the Jam!